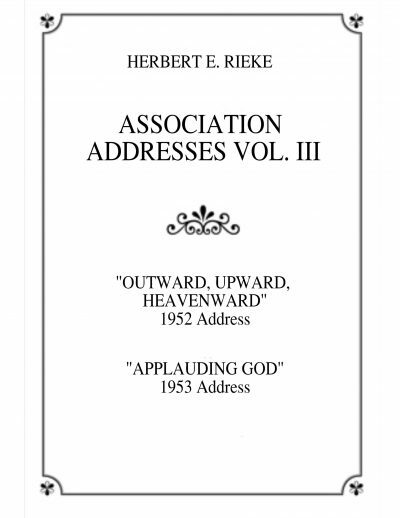 by Herbert E. Rieke, C.S.B. John Randall Dunn illustrates these two approaches in one of his experiences. Early in his practice an alcoholic came for help. In substance Mr. Dunn spoke to him as follows: “Man, do you realize what you are doing to yourself, to your family, to your business? You must get hold of yourself.” Then he explained to the man what God was and sought to show the man that he should reflect more love and consideration for others. He tried to help him to see that he ought to reflect more intelligence than to get intoxicated. He told him that he should go forth and be God’s representative in his daily affairs. Do you know what was the result of that treatment? The man went out and got intoxicated for a whole week. So much responsibility was put on him that he got scared and had to do something to forget the terrible responsibility he had of representing God. Later Mr. Dunn had another alcoholic patient. This time he gave the man a Christian Science treatment rather than an orthodox one. Instead of telling the man what he ought to do, he told him what the loving Father-Mother God was doing. He helped the man to see that right where he was Love, Truth, and all the divine qualities were making themselves manifest, and he was that divine manifestation. He helped the man to see that the full responsibility was on God’s shoulders and that evil was unreal. Of course, you know what happened to this man. He went away from the office completely healed. When you find yourself telling your patients or members of your family what they should do or ought to do, you are not giving a Christian Science treatment at all. If you will search your experience you will see how often you have given the wrong kind of treatment. We do not declare for what man should do, but for what divine Love is eternally doing. We are constantly bearing witness in regard to ourselves. What you truly think and sincerely know about yourself is what you appear to be. I hope that each and every one of you will resolve never to say mean and ugly and petty things about yourselves henceforth. Sometimes people hesitate to say or even to think some of these fine things about themselves. They have a feeling that they are being immodest if they do. This is all a hangover from false theology which teaches that we should all think of ourselves as a bunch of wicked miserable mortals — worms of the earth, as it were. Deny that phase of false theology vigorously. Testify to the truth about man. He is the son of the living God.